Vassilis comes from digital marketing, having worked in similar positions, responsible for sales of internet technology & services as well as business development. Vassilis started his career in TV Production but soon Digital Marketing won his heart. 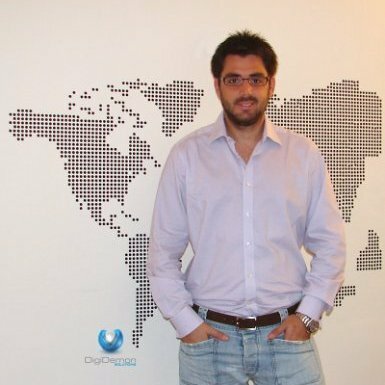 He started working for Alphajust S.A.handling clients in the area of mobile marketing, where in 2004 decided to undertake the development of the first interactive online car portal in Greece, ignition.gr. Having driven the fastest cars in the world for two years, in 2006 he decided to shift gears and went to work for Thinkdigital Ad Network. There he assumed a dual role, as Account Manager for GR Direct Clients & Media Agencies, and as Country Manager developing the company’s operations in Cyprus. Using the experience gained from various fields of interactive marketing, in 2009 he moved as a General Manager to Gelo Ad Network. After a long period of experimenting he decided to return to his own company (Digidemon Group of Companies), with the aim of developing new products & services in the field of Digital Marketing, following his unique vision in producing innovation!